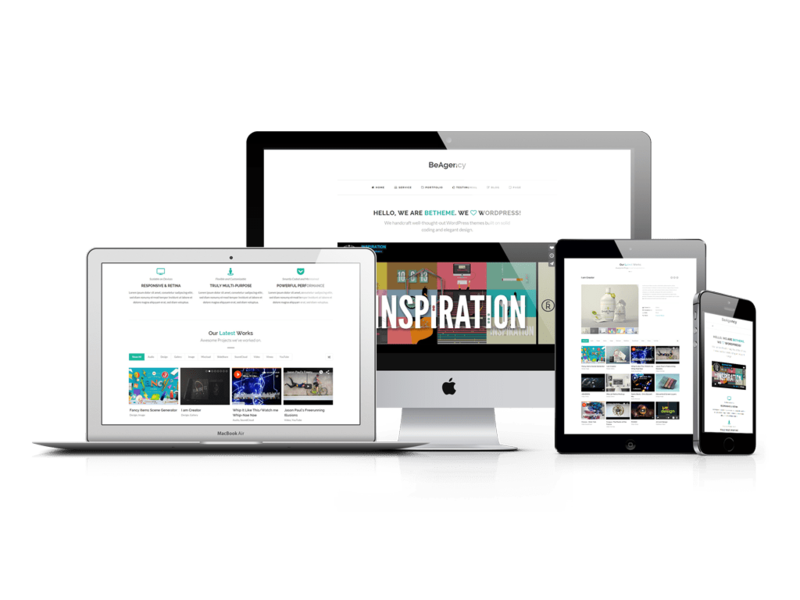 BeAgency is an ideal Wordpress theme for business purpose. It offers a beautiful Ajax portfolio, a front-page module builder, unlimited typography, colors, along with a great blogging experiences. This is the reason it’s preferred by many agencies to showcase their products. > Kirki version update to fix the issue with customizer & WooCommerce. > Upgraded jQuery Superfish Menu to 1.7.9. > Fixed the issue for FlexSlider. > Fixed the gallery issue. > Fixed the silder issue on Chrome. > Fixed the issue when create or edit a post. > Upgraded BeAgency Pro Plugin to 1.1.3. > Fixed icons issue in menu for WordPress 4.7. > Fixed missing translation string for Contact Form. > Added image support for Media Module. > Optimized for better compatibility with WooCommerce 2.5.x. > Improved error message for contact page. > Added text editor for Text Module. Now you can add HTML tags to Text Module. > Fixed the issue for Services Metabox label. > Fixed the issue for Services Metabox. > Removed Glyphicons Halflings from Bootstrap. > Upgraded CMB2 to 2.1.2. > Upgraded Custom Post Type Class to 1.4. > Fixed a translation function that is missing a text-domain. > Upgraded Animsition to 4.0.1. > Upgraded Superfish to 1.7.7. > Upgraded Isotope to 2.2.2. > Upgraded Smooth Scroll Plugin to 1.5.6. > Changed the tooltip for Upload Logo option. > Fixed the height of header when WordPress Admin Bar is enabled. > Improved the scroll smoothness. > Added Widget Module. Now you can add widgets to Front Page Module Builder. > Added Custom Module. Now you can add your own content such as Shortcodes to Front Page Module Builder. > Adjusted font size for Service and Testimonial modules. > Added the option to disable Shuffle button. > Fixed the issue that font size cannot be applied for all elements. > Changed the message that posts or portfolios cannot be found. > Switched markup for Comment Form and Contact Form to output valid HTML5. > Customizer now supports child theme. > Fixed the error when importing demo data. > Hidden the editor when the page using Home Page template. > Changed the number of related products to 8 for WooCommerce. > Fixed the social links issue on Safari. > Changed the font size for Tag Cloud widget. > Fixed the FlexSlider flicker issue on IE. > Improved the notification when there is no posts found. > Fixed search form issue. > Fixed grid layout issue. > Added style sheet for WordPress Visual Editor. > Fixed the issue for textarea control (Front Page Module Builder). > Fixed the issue when adding more Meta Boxes on Firefox (Front Page Module Builder). > Added brand color for Skype and WhatsApp (Social Menu). > Improved styles for Kirki. > Fixed the issue when using PHP earlier than version 5.5. > Fixed the FlexSlider navigation buttons issue on Safari. > Fixed the text flicker issue on Safari. List blog posts with the beautiful awesome masonry layout. Create posts with or without an excerpt, add beautiful fluid galleries, videos and audios to your post. BeAgency is modular, that means your front page will be created based on a custom module builder, where you can hide or show modules and rearrange them using drag and drop. 650+ Google Fonts and 600+ Font Awesome Icons will make you happy to customize your site font. BeAgency includes a color picker that allows you to easily change the color of any element throughout the entire theme. BeAgency is compatible with all modern browsers - Chrome, Safari, FireFox, Opera, Microsoft Edge, IE9 and above. BeAgency is always updated to ensure compatibility with the latest version of WordPress and industry standards. We take care of our customers and offer one-on-one, personalized support. We are fast and professional.